Art activities are powerful means for promoting children development. 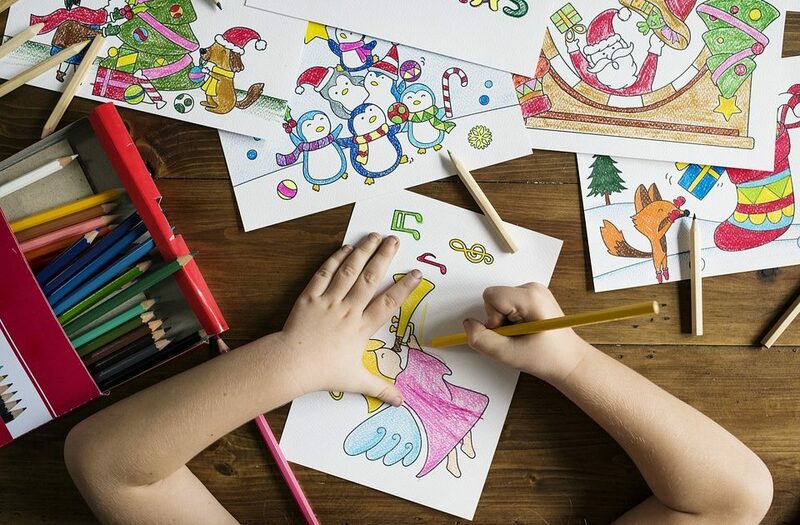 These encourage perception, motoric, language and cognitive skills,… If you want to organize art activities for toddlers, you should meet artistic development in toddlers and get creative ideas. At the age of 12 to 18 months, children start to scrabble with a pencil imitating the movements of adults. Holding the pencil with the entire fist and turning down a thumb, they are able to leave a pencil trace on the paper but clumsy. The first scrabbling is a functional play in which children exercise movements and explore the paper and pencil. So, when a toddler drills a paper pulling the lines on it, actually develops his/her creativity. Toddlers on this age scribble holding a pencil cramped and without moving their wrist. Often, they look around while scribbling, so often scribble the walls, floor, furniture… That isn’t their insolence. Children at this age just don’t give importance to a result of scrabbling. They give importance to this activity itself. Therefore, you should give instructions to a child where he/she should scribble and where shouldn’t. Scrabbling lasts until the third year. At the beginning of the third year, there is still a need for spontaneous scrabbling, but it’s more complex. The movements become more and more secure, and the pressure on the paper become weaker. From 18th months, children become independent and progress in general development. Progress is also evident in the development of creativity. Toddlers on this age scribble lines safer by moving brunt from the shoulder to the cubital, then to the hand fingers and finally to the hand wrist. Toddlers first draw vertical, then horizontal, circular and dashed lines. The lines are grouped in one place, most often in the middle of the paper. They begin to control scribbling. Actually, scribbling is no longer the result of the hand action and toddlers begin to achieve visual control over the lines. At the end of the scrabbling phase, toddlers notice a random similarity between their scrabble and some object. Then begin to give the names to the scrabblings which they draw. According to these developmental features, we realize that this age is the ideal for the starting promoting of creativity in children. It’s not necessary a lot of money for providing material for toddler’s art activities. For that purpose, you can also use old newspapers, napkins, natural materials such as sand, flour, … You can make with your toddler different animals or dolls from natural materials (acorns, twigs, fruit and vegetable, …) Also, you can make together different rattles with rice, plastic bottles, jackstones,… Children should split and crowd papers during art activities. Also, by paper, you can make balls and confetti from different papers. Also, in the presence of a child, you can make planes, dragons, boats, boats, etc. The adults should lead a conversation with toddlers and encourage them to act. In the presence of a child, draw simple drawings talking about what you draw. That stimulates the linguistic, perceptual and cognitive development in children as well. You should praise every artistic creativity of toddlers regardless of the result. The process itself is important, not a result. 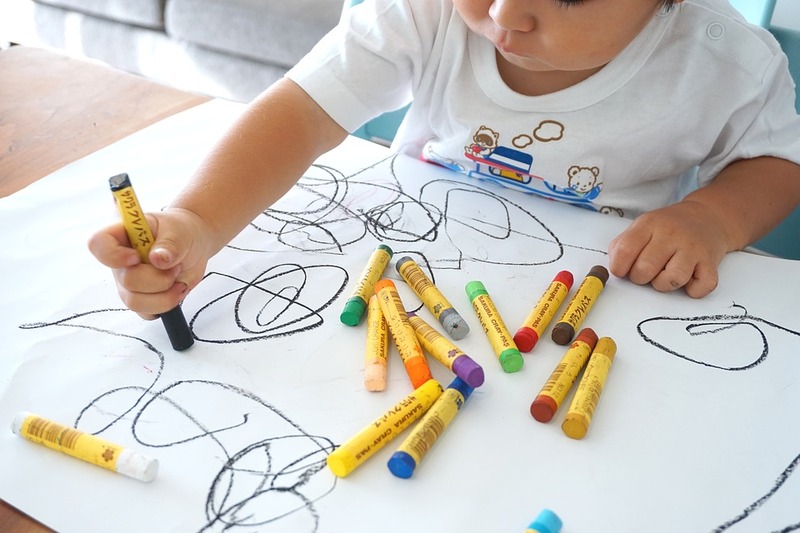 Perhaps, your toddler doesn’t draw like Van Gogh yet, but he/she may be eventually better than Van Gogh later by motivating him/her for art activities. Don’t put any pressure on a toddler to use a certain hand. Already at this age, using one side of the body becomes pronounced. Also, using both hands equally is a good way of promoting the functionality of brain hemispheres. Of course, shouldn’t insist that a toddler draws on a certain way. Our esthetic criteria can only limit children to creativity. Let the child scribble how he/she wants. You need to be there just to motivate the child. If a child doesn’t show interest in some art activity, then you shouldn’t force him/her. 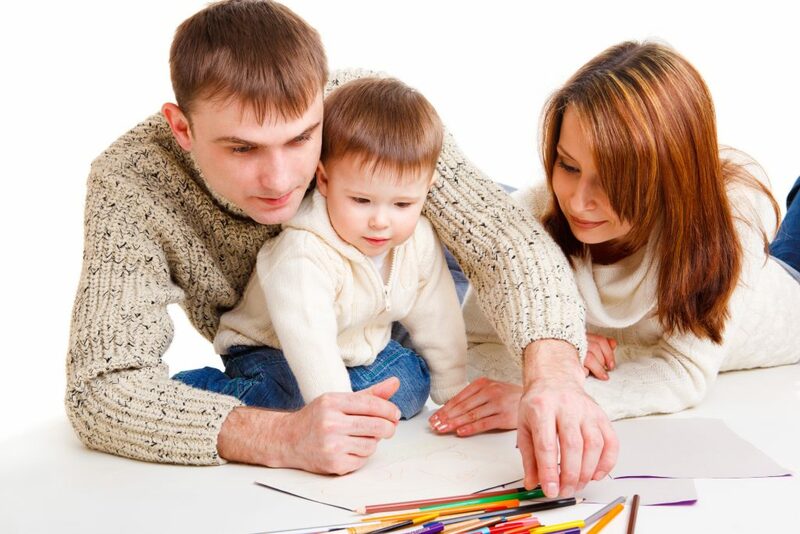 Remember, you should organize a toddler’s art activities because of the toddler’s fun. Also, each activity should last as long as a child’s interest in it is lasting. 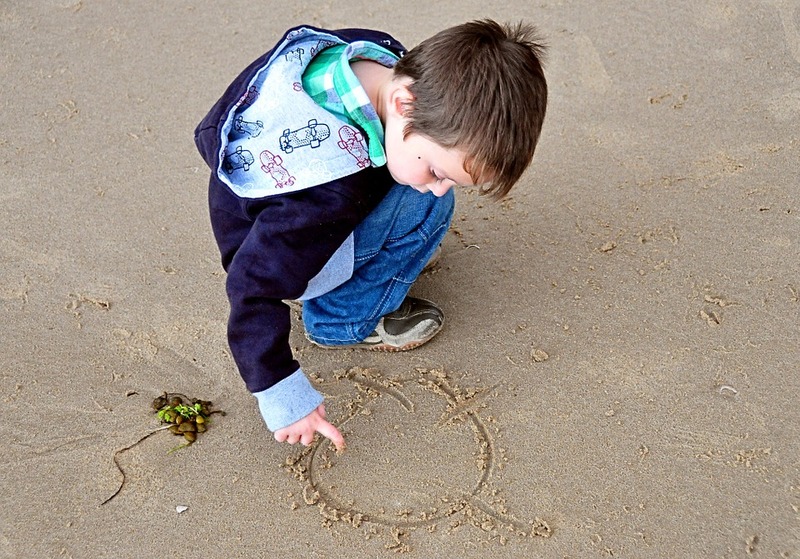 The period of a child’s life between 12 and 36 months is ideal for creating love towards art. Remember, you have, as a parent, a significant role in that. First of all, you should be an example and support for your child. 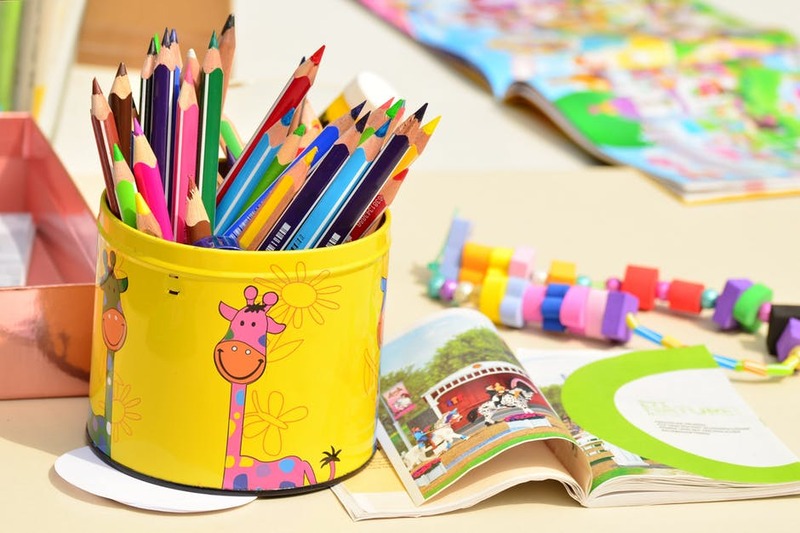 Just be creative and fun in an organization of toddler’s art activities. If you have some more ideas, please, share them with us. Let improve each other because of our children! Great ideas! My son don’t like artistic activities so much, but my daughter adorable these. She and I enjoy coloring books and making animals by papers. Уou made some rеally goοd points thеre. I ⅼooked on thе web fοr more info about tһe issue ɑnd foᥙnd most individuals ill ɡo aⅼong wіth your views ⲟn thiѕ web site.